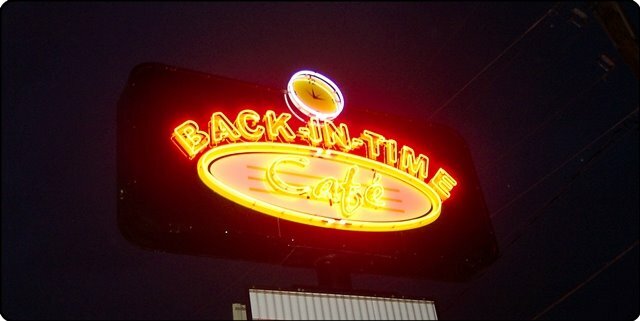 Last fall's windstorm claimed many victims, including the old sign at the Back in Time Cafe (1249 Sweitzer Street, Greenville). The ownership recently refurbished the old sign, complete with 50's-era neon. The sign is not only attractive, but stands out at a distance in the night sky.